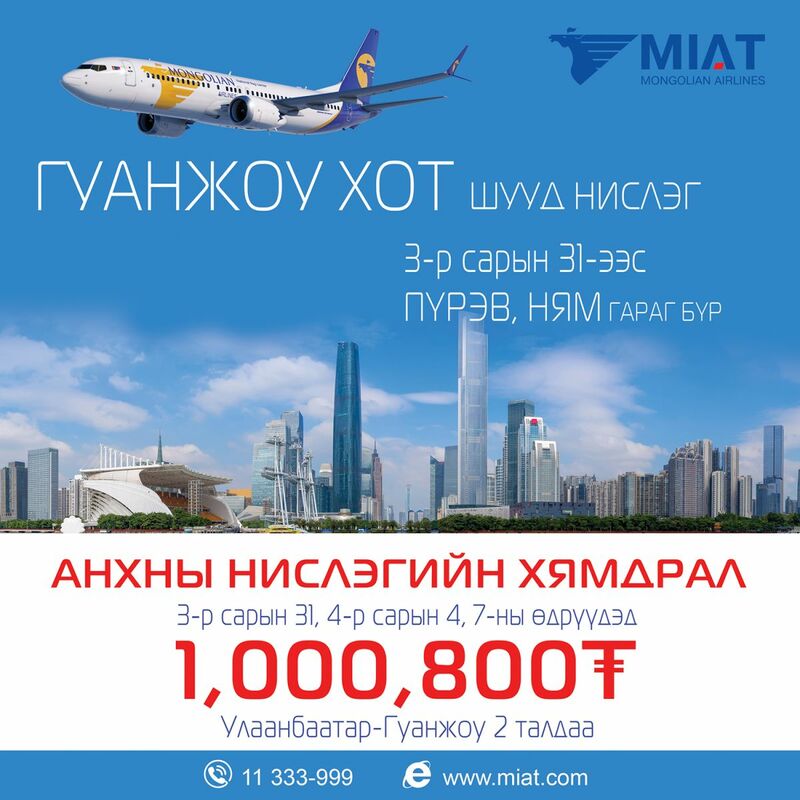 MIAT Mongolian Airlines has opened reservations for its planned route between Ulaanbaatar and Guangzhou, the capital city of the province of Guangdong in southern China. The flight is scheduled to commence on 31 March, 2019. 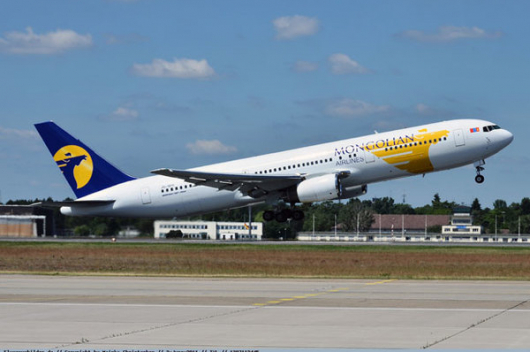 MIAT’s new Boeing 737-800 is scheduled to serve this route twice a week. 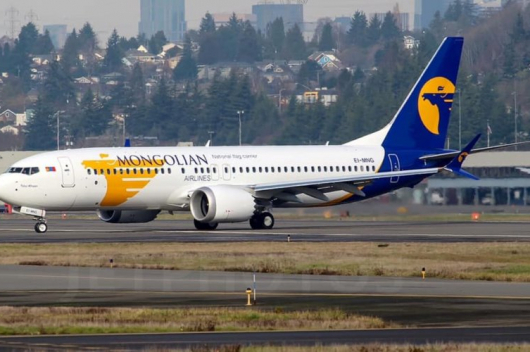 Recently, MIAT has acquired two Boeing 737 Max aircraft from the global leasing company Avolon. 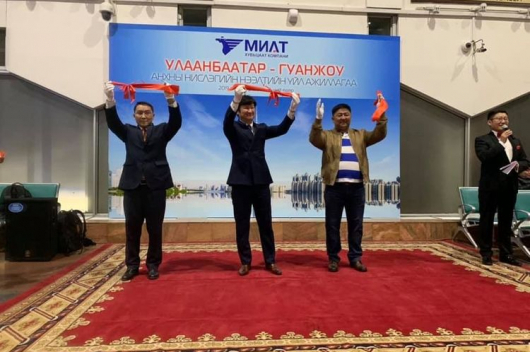 The first of the planes arrived on 21 January, 2019.